Say the word patchouli and the response is likely to be a passionate “Mmmm, love it” or an equally passionate “Ewww, hate it”. 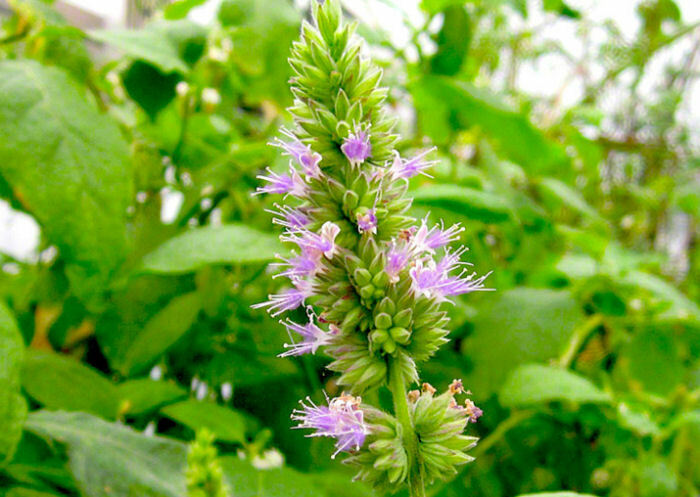 The earthy patchouli (actually a member of the mint family) is absolutely polarizing with some very zealous lovers and haters. However, patchouli is an essential part of perfumery as it adds a lovely grounding to many fragrance accords without the familiar “dirty hippie” 70’s patchouli scent. So even if you’re not a patchouli fan, give these fragrances a try. I’ve turned some patchouli haters into patchouli lovers with these beautiful scents, which are shared, meaning they can be worn by both women and men. 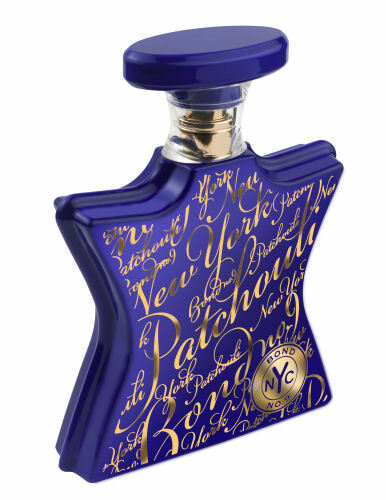 New York Patchouli by Bond No. 9 is like a typical New Yorker – bold, audacious and not afraid to strut its stuff. It’s no shrinking violet. Even the bold blue bottle with gold script lettering lets you know that what’s inside isn’t going be quiet and demure. New York Patchouli opens with spice – cardamom, ginger, grapefruit, and a bit of nutmeg which then heads into the patchouli and floral notes including rosewater, before settling into the lingering base notes of amber, wood, oakmoss and leather. Definitely a bold, urban and seductive scent! 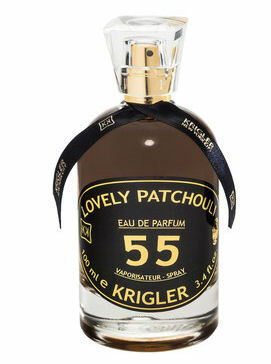 Lovely Patchouli 55 by Krigler is just that…lovely. Lovely is the perfect word to describe this sophisticated, classic scent originally created in 1955 and still a best seller today. It was originally marketed to men, but I tend to believe it’s probably more popular with women. It was the favorite of Jackie Kennedy. Lovely Patchouli has a major amber accord, along with the patchouli, and beautifully blends down to bergamot, vanilla and leather. It’s an elegant blend – it’s spicy, it’s warm, it’s sweet, it’s woody – it’s irresistible and quite addictive. Blue Cypress by Goldfield & Banks comes from the land down under where they know a thing or two about nature and rain forests. Notes from the creators: “A fragrance for men and women, inspired by the scent of dew evaporating from the soft new leaves as the morning sun casts its rays across a rainbow of towering gums and eucalyptus”. 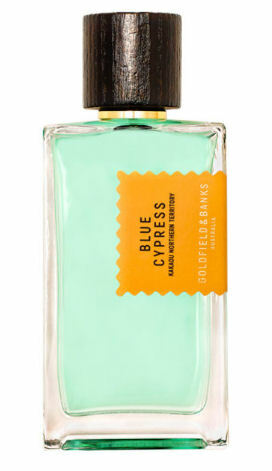 Blue Cypress opens with notes of cypress and Bulgarian lavender, and moves into patchouli, cloves and star anise. It’s a softly refreshing green fragrance created by perfumer Francois Merle-Baudoin and was inspired by Kakadu, Australia’s largest park and UNESCO World Heritage site. Wear Blue Cypress and be immediately transported to a beautiful Australian rain forest. 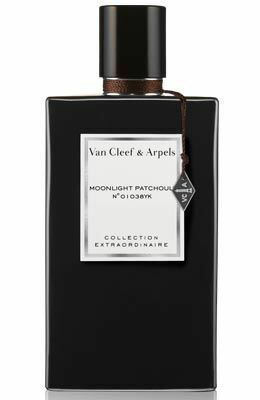 Moonlight Patchouli by Van Cleef & Arpels is a quiet bouquet of patchouli mixed with floral notes and a hint of chocolate. It’s an elegant creation by perfumer Sonia Constant. After its opening, it moves into lovely soft, powdery orris and spicy Bulgarian rose notes. The final long lasting velvety suede notes are romantic, warm and gentle. A soft radiant moonlight is a perfect description of this sensuous perfume. Great article. I’m super intrigued by New York Patchouli and Blue Cypress! Smells like Blue Cypress might be in my future! Thanks for the info, Candace! Wonderful insight as always Candice – I purchased @Krigler when you mentioned the heritage of the company last year – always wonderful advice! What great looking choices! Love all the different bottles and can’t wait to try the scents!! I always had a love/hate relationship with patchouli. I love the scent but the oil alone is too strong. These are a perfect solution!! Thanks Candice !